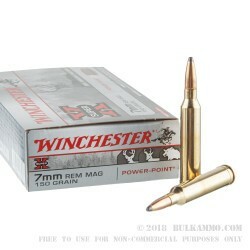 This 7mm Rem Mag cartridge from Winchester’s Super-X line of ammunition sports a 150 grain projectile, which is an average weight for its caliber. The Power-Point bullet boasts remarkable stopping power on medium-sized game courtesy of its exposed soft lead tip and strategically notched contoured jacket, which work together to provide consistent and reliable expansion. The bullet’s ability to expand is complemented by its alloyed lead core which retains a great deal of its weight after impact for deep penetration and a debilitating wound channel. All of these features combined with this round’s massive 3,090 fps muzzle velocity will give you just what it takes to drop big bucks fast! 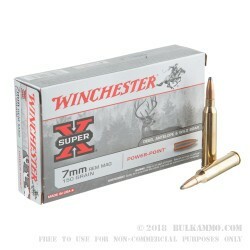 Super-X ammunition has stood for exceptional quality and outstanding performance ever since its introduction in 1922. 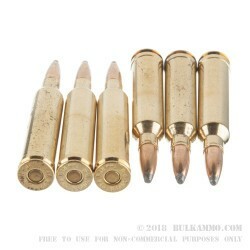 As such you can consider this round’s factory fresh brass casing, reliable primer, clean burning powder, and aforementioned tech-laden bullet as the gold standard for what hunting ammunition ought look like. I Use them and There Right on the money.. 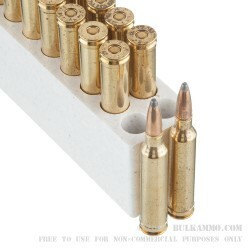 I recently purchased 100 rds of this 7mm rem mag ammo to feed my new Weatherby Vanguard 7mm rifle and let me say that I couldn't be happier. It shoots consistently, accurately every time. I shot 1 box the first time (gotta rest my shoulder) and there were zero issues. I also noticed my barrel was not as dirty when I cleaned it like some of my other 7mm ammo. Overall I am happy and I am ordering more soon.